We have a new player for you, and it's not just any player. 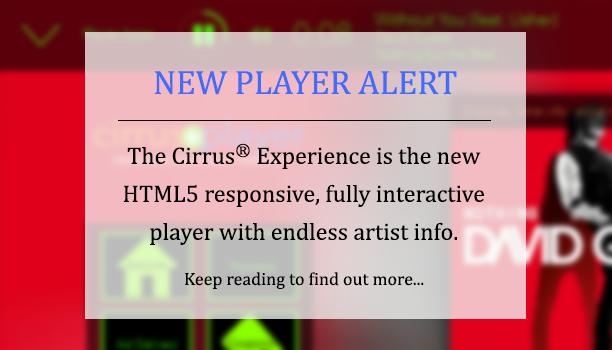 The Cirrus® Experience is your station's fully interactive hyper-media player with endless song and artist data plus auto playlist. Listeners can fully engage and learn everything they ever wanted to know about any artist. And the best part, they never have to leave the player. Listeners can browse through artist bios, artist photos, official website, social network sites, discography, lyrics, buy songs, fan pages, playlists, and much more! Click here to launch our demo. As an HTML5 responsive player, it looks great on all desktops and devices. 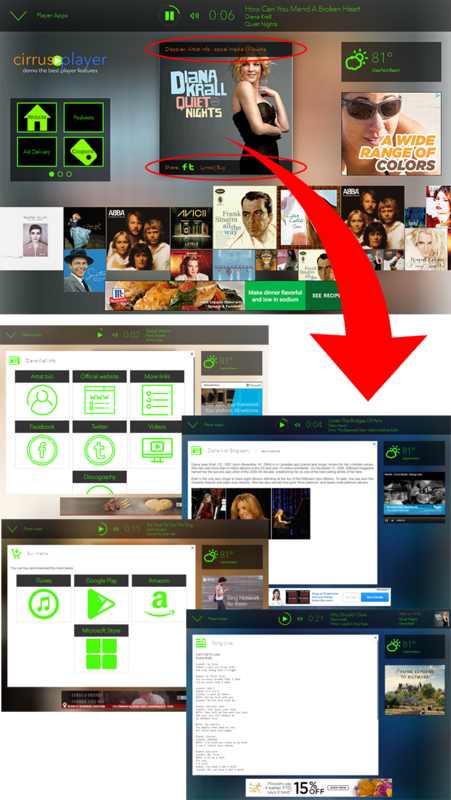 Listeners across all desktops and all devices can share in the same experience, as it plays universally. You can fully customize the Cirrus® Experience by selecting a color scheme, adding up to 12 menu buttons, and enabling/disabling player apps... Plus, you have full advertising control or you can turn the inventory over to our Ad Delivery Network to earn additional revenue. Listeners can browse through endless amounts of artist info, available from the album art. See screenshots below. You can start using the Cirrus® Experience today! Simply grab the player URL in your Radio Control Panel > Linking & Embedding. You can customize the color scheme here as well. Color scheme is updated on the fly. For more info on the Cirrus® Experience and any of its features, please open a support ticket here.